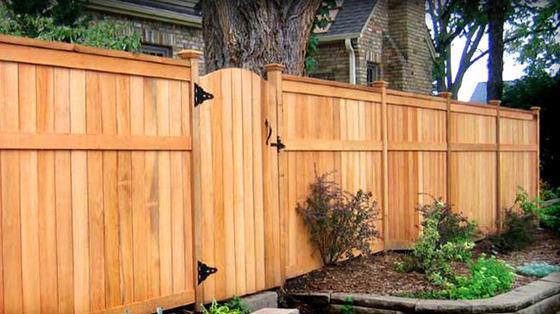 We’re Eugene’s premier fence staining company. Whether you need refinishing, staining, or related services, we’re your vendor. Top-rated on Angie’s list and serving the greater Lane County area for 20+ years, Mark Hoge and his team continue to bring value, quality, and superior customer service to every job. Mark and his team provide a no-pressure, no-obligation consultation to determine the scope and needs of your project. When Eugene Roof Care and Wood Care, also known as Cascade Restores, is done with your fence, it’ll look brand-new. Safety of your family and pets: find a company that puts your family’s safety and well-being first. When we arrive on site, we strive for minimal interruption, and that includes making sure doors and gates are always closed for your pets, and cleaning up our work areas to at least as good as we found it, and in many cases, cleaner. Never risk the environment: hire a company that only uses eco-friendly products. Never cut corners: Be wary of companies that promise things that seem to good to be true; it usually is. Supreme value: Look for the highest value. Find a company that provides the most service at the fairest price. For more than 20 years, we’ve approached our business to succeed in these areas. We’re not just here to clean your fence. We’re stewards of the environment, your yard, and the safety of your family.